The English expression: to sleep in, to let yourself sleep longer than usual in the morning (sleep in…to the day). It’s not the same as to oversleep, with the sleep duration accidentally being longer than intended, probably leading to unfortunate consequences (of being late to something, etc). Arguably the word oversleep can only be legitimized if you have something planned that you can be late for (but then again, that could be anything – your own wake up goal could count as well). The Swedish translation: att sova ut, to “sleep out”, to get all that sleep out…of your system. There is a difference here. If “sleeping in” is not as guilt-ridden as “oversleeping”, there is still an element of decadence and laziness built in. Being inside (when you could be outside), wasting a whole morning in bed, like a self-imposed inmate. “Sova ut” has a completely different air of wholesomeness and healthiness to it. It assumes that there is an optimal sleep duration (which rarely is met), and to “sleep out” would mean to let your body get the amount of sleep it naturally needs. It also suggests that – should there be an accumulative sleep deficiency over time – you can (and should) once in a while restore your sleep (let it fill up/out) to its full level. Reset the body and brain. No decadence. Care. Oversleep and försova sig (Swe) seem more equivalent. “Over”, is implying “over the top” or “too much”, as does för in “försova” (“too much” = “för mycket” (Swe)). This word has recently resurfaced in the [Swedish] news. 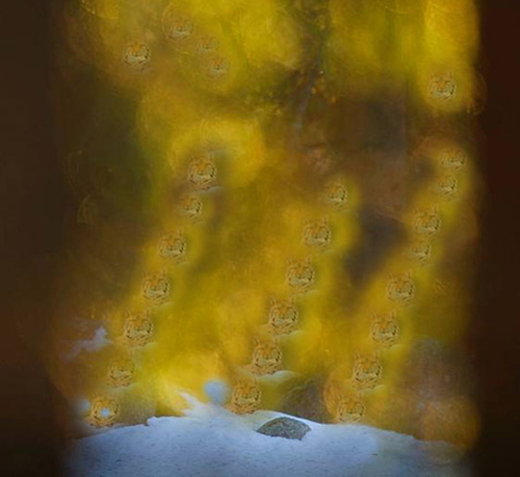 It refers to the Norwegian wildlife photographer Terje Hellesø who, apparently could not resist to photoshop* in a lynx here and there in his images to make them more enticing. This has caused an outcry, and Hellesø has had to leave the Photographer’s Association. (The fuskfotograf himself is devastated and regretful, saying he got caught in the race of career climbing and his goal to become independently wealthy). The word fuskfotograf first appeared in the Swedish media in 2006, at the time of the controversy around images taken by the Reuters photographer Adnan Hajj of the devastation in Beirut caused by the war. The Libanese photographer was discovered to have had manipulated the images by adding extra smoke and ruined buildings, using the clone tool. This easy trick to sharpen the news story agenda and angle, repeated itself over and over, for example in an 2008 Agence France-Presse image of an Iranian missile test launch, showing one missile too many (and again, cloned smoke). The answer seems to be that at least when it comes to war and wildlife, photography is still hanging on to its aura of absolute truth, even it if it’s by a thin thread. Maybe it’s time to cut the cord, just let go, and accept the truth as it is, i.e. manipulated more often than not. 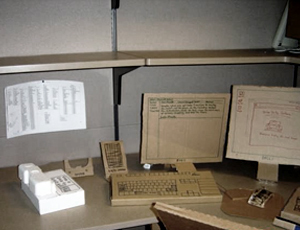 to manipulate an image with a computer application (such as Adobe Photoshop). From AKTUELLT newscast from earlier this evening. 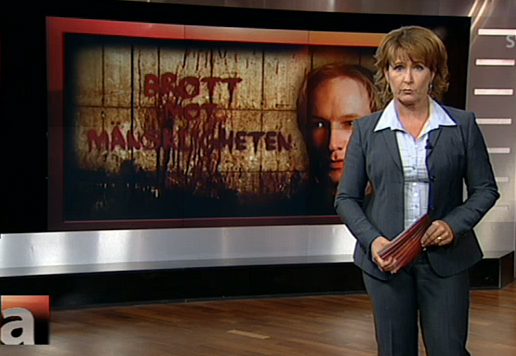 The segment presents the new possibility that the Norwegian mass murderer could get convicted of “crime against humanity” (brott mot mänskligheten). When the most horrible and atrocious things happen, people are unable to comprehend it, literally, as something REAL. It’s a mechanism of shock, of self-preservation. When trying to find words to describe the unexplainable, a common phrase to resort to seems to be: it’s like being in a movie. A situation so appalling, that it can’t be compared to anything previously experienced, except – maybe – it could possibly have happened in a [horror] movie. Is this analogy appropriate? Language can facilitate the expression of emotions, help sharing information, thoughts, sympathy. Language itself can be very revealing, but it also has grave limitations. In the darkest moments, when the pain is suffocating, when absolutely nothing can explain how a single [twisted] mind can decide he has the right to mass murder defenseless teenagers in cold blood. It is so nauseating, and the details so grim, that any word feels inadequate, pathetic. Similarly, no movie could ever accurately portray something like this, from the perspective of each of the individuals that are either victims or survivors. The premise of “being in a movie”, is actually flawed: it is of course impossible to be in a movie, the way the “reality of the movie” is perceived in the [unreal] time frame it is presented (to state the obvious). A “movie”, by definition, is an antonym of “real life”. So what if you find yourself in a situation which your brain can’t interpret as “reality”, is it not understandable to want to describe it as a “movie”? Except this movie has no crew, no trailers, no snacks, no lights or cables. Instead of actors brushing off the dirt from their clothes, and the fake blood from their faces – in this “movie” – if you’re on the ground, you are not getting up. The director is not saying “cut”, he just keeps on shooting. This is not a “movie”. It feels unreal, but it is reality. No matter how useful the phrase might be as a first description to grasp for, it won’t do after the shock dissipates. It would be to give the script writer/director too much satisfaction. This real situation will make even clearer the support and love for a free, open and accepting society. And let’s hope that all the tears that it is causing will dissolve the digital ink of the piece-of-crap script into an illegible smear.